I often lament that there are so few great illustrators of the mid-20th century who have been the subject of an "Art of..." book collection. 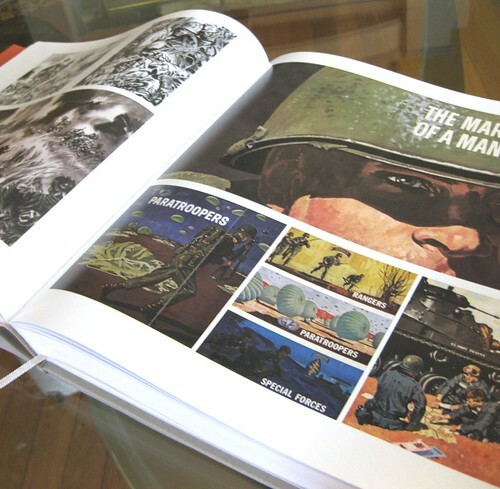 One of those artists, Noel Sickles, has finally received his due - thanks to TI list member Dean Mullaney. 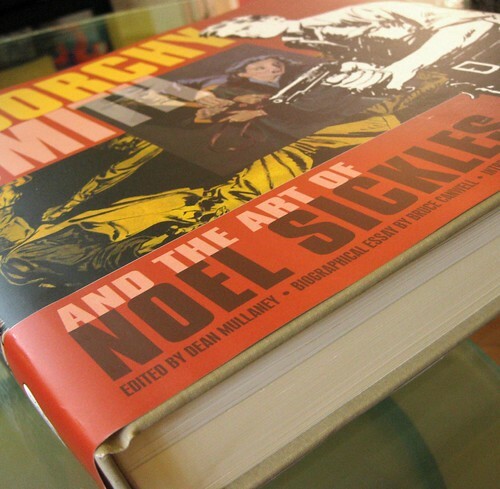 Christmas came early for me last week when "Scorchy Smith and the Art of Noel Sickles" arrived in the mail. 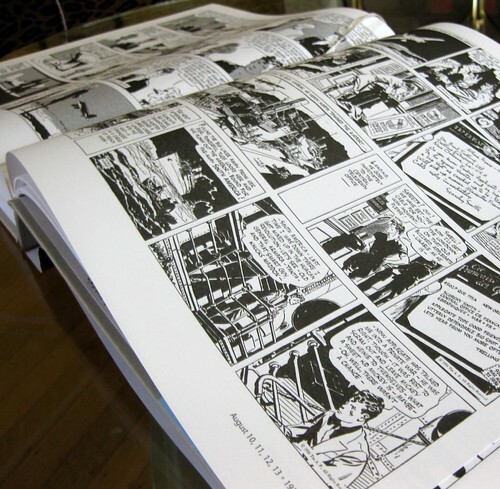 I can only imagine that if Robert Fawcett, Austin Briggs and Al Parker (just to name a few) were still with us today, they'd have to be a little envious of this handsome volume. 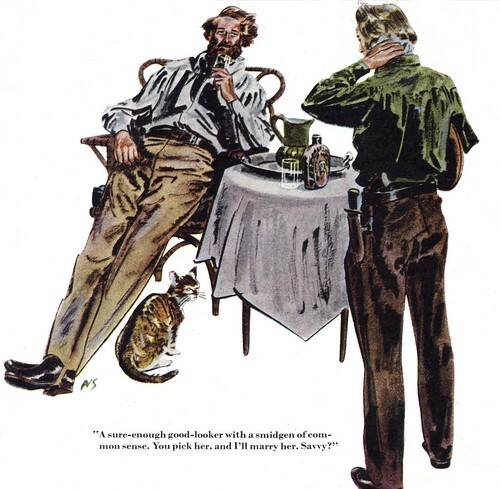 ... and include some biographical material and examples from Sickles' later career in illustration. 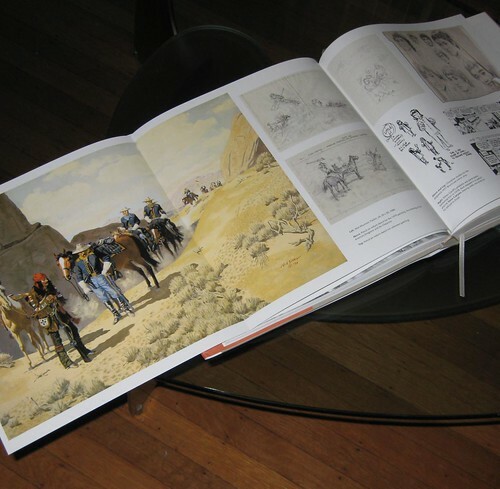 However, writes Dean, "We found so much incredible art and bio material that I had to add 40 pages to the book. The Scorchy strips don't even start until page 142!" 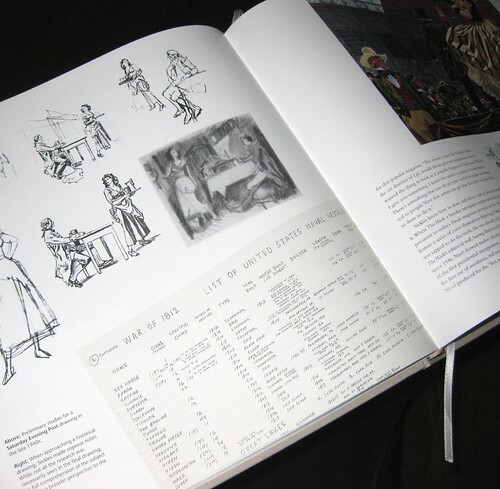 I was fascinated to see so many examples of Sickles' rough sketches and meticulous attention to research for historical subjects, as shown above. ... or this unsold 1960's strip, of which Sickles produced only 6 inked and lettered dailies. ... and up to his last work in the early 1980's, just before he passed away. With Dean's permission, as we devote a week to the art of Noel Sickles, we will dip into the book for the occassional excerpt or anecdote. Many thanks, Dean! Dean would like you to know that "the book is available from all bookstores, comics shops, and online retailers. If your local bookstore doesn't have it in stock, they can order it for you: ISBN 978-1-60010-206-6." 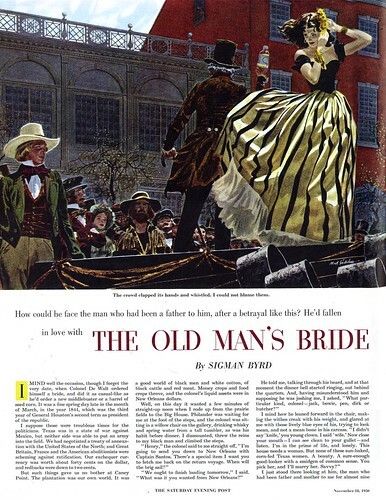 My Noel Sickles Flickr set. David; I had to smile when I received this only an hour after reading a remark you made on your Gary Panter post wishing for just such a book! Oh Lord, I had forgotten this was coming out... amazing. Thanks for the preview pics. Can't wait to pick this up myself. Amazon & Chapter's only have listed as available for pre-order only . May have to hit the Beguiling or Dragon Lady stores this week. What wonderful news! Thanks for the preview. Amazon has it In stock on September 7, 2008. I just ordered it. I am glad to learn of the book. Can't wait, had it on order for ages from Amamzon. Hope mine turns up soon. Great news. I had no idea this was out. I'll have to get a copy as soon as I can. Thanks! 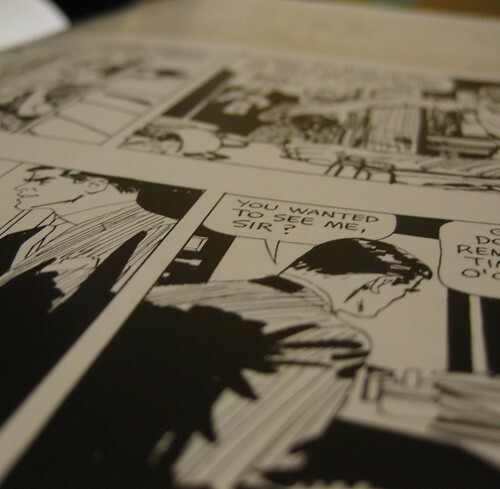 Sickles was Alex Toth's all time favorite, Wow, cannot Wait to get my hands on that. ACK! Gotta get a copy of THIS too! Thanks for the timely heads up, Leif! I just got this a week or so ago and its fricken amazing! Leif, my copy arrived yesterday. Wow!!! and it's gorgeous. 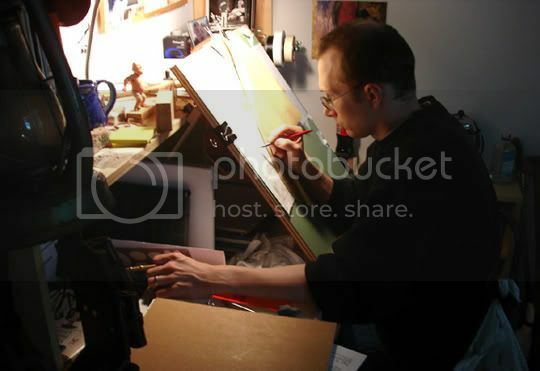 I see each each illustration and just paused to drink it up. Truly a master. Thanks for expanding my horizons. Cons: Binding seems OK but the 1st and last pages which contact the covers tearing apart. Easily solved with a strong tape. Should not detract anyone from buying the book.